Elevate the classic winter accessory with these simple styling tricks. 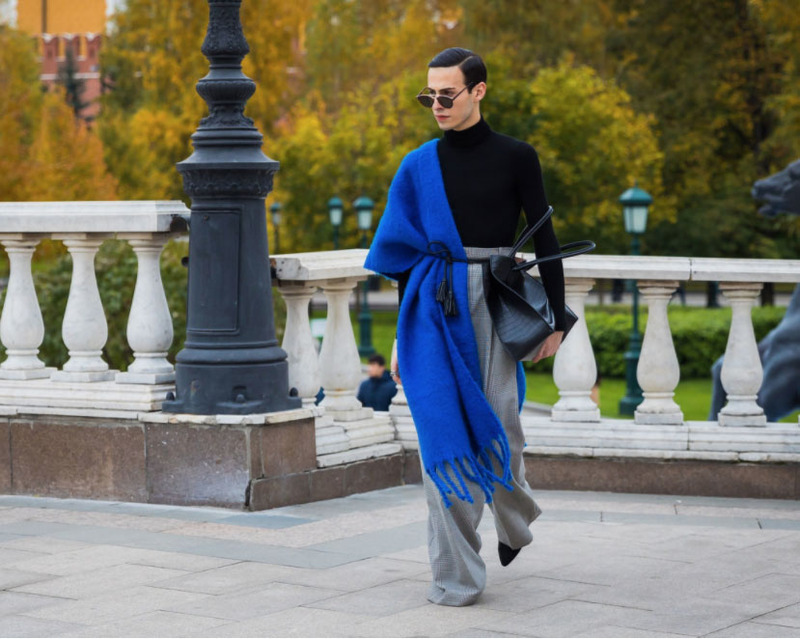 Street style stars from around the world have made maxi scarfs one of the most coveted accessories for the upcoming winter season. Chic and functional, there's more than one way to show them off. Inspired by these fashion experts, here’s how to make oversized scarves the focal point of your fall and winter looks. To create an effortlessly stylish look wear a maxi scarf around your neck so that the length is the same on both sides. This seemingly simple styling trick has been seen on fashionistas in Seoul, Stockholm, and Moscow, as well as on the runway models for legendary fashion houses such as Balenciaga. Add an oversized turtleneck, distressed boyfriend jeans, and emerald satin ankle boots to complete the outfit. This option integrates the scarf into your outerwear. Let it hang evenly on both sides around the neck, or from the front to the back of your body (on your preferred side). Proceed to tie a belt around the waist, securing both ends of the scarf, thus elevating it into an unexpectedly trendy shawl. Wear it with skinny jeans and knee-length boots. Take an oversized scarf and wrap it around your neck only once. Throw one end behind you and let the other end hang in front of you, with the front side falling longer (approximately below the waist). For a casual vibe add wide-leg trousers, a cashmere sweater, and all-white low-top kicks.